fOSSa 2010 Free Open Source Software Academia Conference Grenoble France. NEW fOSSa Website for 2011 EDITION!! fOSSa conference 2010 edition is over! First of all, thank you ever so much for participating in fOSSa 2010 and contributing to the successful outcomes of the event! It was a real nice and creative moment: THANKS! Special thanks go to all the speakers which have given their valuable contribution to the discussion on the role of open source software nowadays. Big thanks to them! A section including the presentations supporting the speakers’ talks. A new Press Corner, with Press Releases and articles on the event. This section will be updated on a weekly basis. Many tweets (>100) offering useful feedbacks on the program and development of the event #fOSSa2010, but also a linkedin group, don’t hesitate to join! Take your time when you look at this website, it includes a lot of nice ressources! Nice presentation from Martin (HP) on the DEV track, nice presentation from FTA on the second day (Education)… then on the last day – Community Management – well – Open all the presentations they are ALL excellent! If you want also to have a look at the 2009 Archives, don’t hesitate, we published all the presentations on slideshare.. again nice presentations, take your time, you won’t regret ! We hope you will use these tools to continue spreading and sharing your thoughts, knowledge and expertise on the open source software and fostering collaboration opportunities between industry, developers, communities and academia. 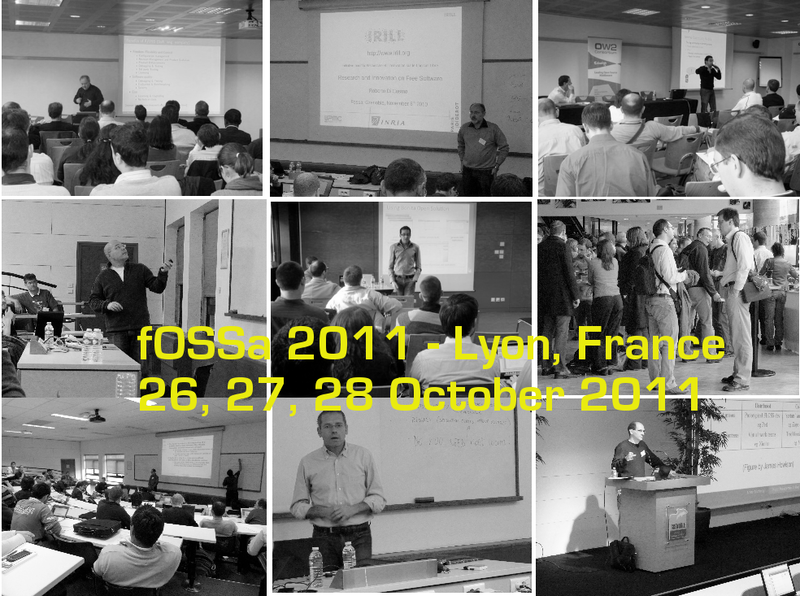 Thanking you again for your participation, we are looking forward to meeting you at fOSSa 2011! fOSSa 2011 Website is open! Visit our NEW 2011 website! Don't hesitate to give us your feedback, send us ideas, and share your own experiences about FLOSS.